Located about 500 kilometers off the West African coast, the volcanic archipelago of Cape Verde is an up-and-coming tourist destination. With beautiful beaches, and peaks as a high as 2,800 meters, the islands offer a range of relaxing and exciting landmarks. Although temperatures are warm all year round, rainy season hits Cape Verde between July and October, when there can be severe flooding. Looking to soak up some rays? 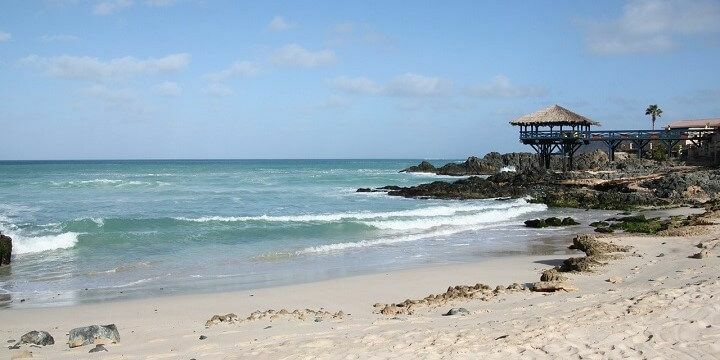 Look no further than the island of Boa Vista. Choose from a large selection of sandy stretches, including the 22-kilometer-long Santa Monica Beach or the beautifully white Santa Maria Beach. Boa Vista features many beaches. The latter is located on the island’s north coast, and is named after the ship that was wrecked on its coast in the 1960s. The beach is so secluded that there are no restaurants or bars, so bring a picnic along with your snorkel to explore the marine wildlife. Boa Vista’s beaches are an animal-lover’s dream! Visit between June and October to see the rare loggerhead turtles, or between February and May to undertake some whale watching. If you’re a thrill-seeker, try your hand at a huge range of watersports, from windsurfing to kite surfing, or quad biking along the Viana Desert’s sand dunes. 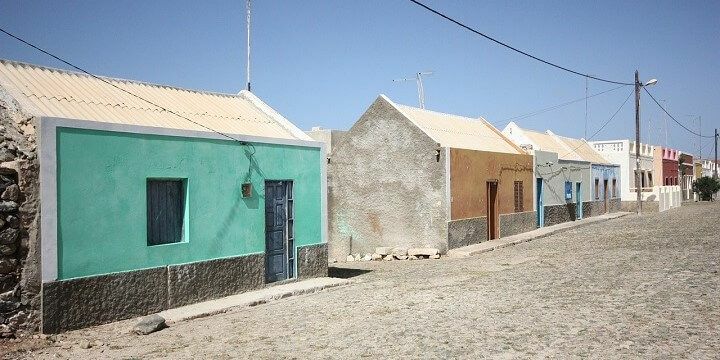 Sal Rei is the only town on Boa Vista. If you’re tired from all that exercise, re-energize in the island’s only town, Sal Rei, where you’ll find clubs and bars, along with vendors, food markets, fresh fish stalls, and beautiful architecture. Santiago, Cape Verde’s largest island, offers plenty of challenging hiking routes. 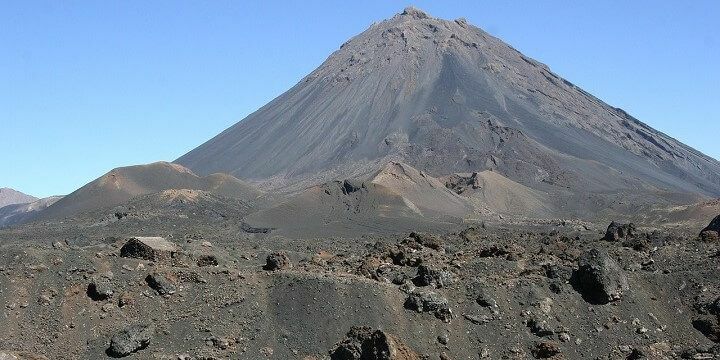 Explore its two volcanic mountain ranges: Serra Malagueta (1,064 m), which runs from West to East, and Pico de Antonia (1,392 m) in the center of the island. The town of Assomada is a great starting point for all trails, and also hosts colorful markets, selling everything from fresh fruit to home appliances. If you’re looking for more challenging hikes, head to the neighboring island of Fogo, where you’ll find Pico do Fogo, the highest point of Cape Verde (2,829 m). Pigo de Fogo is the highest point of Cape Verde. The most popular destination on Santiago is Praia, the island’s capital. Have a fun night out in the Achada de Santo Antonio district, or relax on the town’s gorgeous beaches, such as Praia Prainha or Quebra Canela. Alternatively, explore colonial era buildings, vibrant food markets, and cultural landmarks, including the Presidential Palace, and the Nossa Senhora da Graca Church. More fascinating sights can be found in Cidade de Ribeira Grande de Santiago, the island’s former capital and now a UNESCO world heritage site. 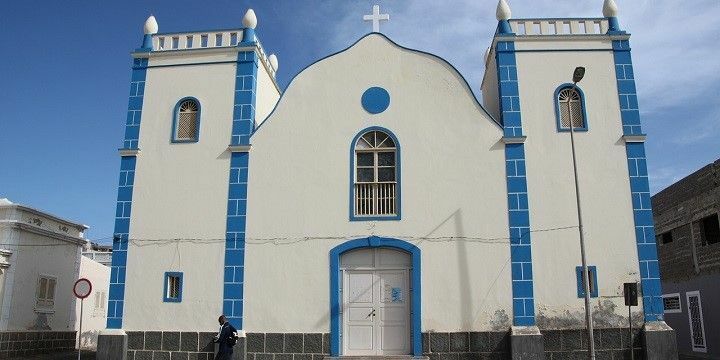 Don’t leave without visiting the oldest colonial church in the world, Nossa Senhora do Rosario, or the 16th-century Se Catedral, which overlooks the stunning coastline. With a relatively flat landscape, powdery beaches, and former salt mines, Sal is one of Cape Verde’s most exotic islands. Santa Baria Beach, located 18 kilometers south of the island’s airport, is home to white sand, crystal-clear water, and great opportunities for watersports. Be sure to see one of Sal’s many salt mines; for example, Pedra de Lume, which you can only reach by walking up a hill. The tiring climb is worth it for the incredible views of salt ponds at the top. Take a dip in one of the ponds, where you will float just like in the Dead Sea. Sal is one of Cape Verde's more exotic islands. More natural beauty can be found at Olho Azul (meaning “Blue Eye” in Portuguese) in the small bay of Buracona. Watch the waves crash into the impressive rock formations before swimming in the nearby natural lava pool. If NextStop24 helped you to choose your next travel destination, we'd be very grateful if you’d search for your accommodation in Cape Verde through this link. It's an affiliate link, which means that we will receive a small commission for every booking made through it. There are no extra costs for you; you'll simply be helping to keep NextStop24 running. Thanks! Great beaches and amazing nature!